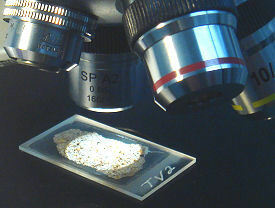 Specimens are offered on a first-come, first serve basis. 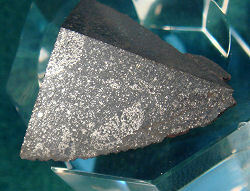 A Certificate of Authenticity is included with each meteoritical specimen. For ordering please go to the Ordering page. 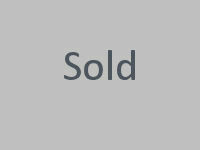 Mastercard, Visa, and PayPal accepted. 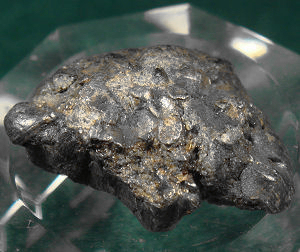 Images Copyright protected, 1992 - 2018, 2019, New England Meteoritical Services, inclusive all years. 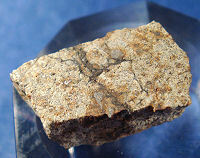 These are difficult to acquire meteorite localities or classifications. 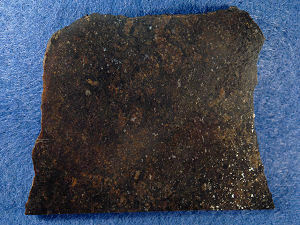 All images were taken of the specimens being offered. Prices and availability subject to change without notice. 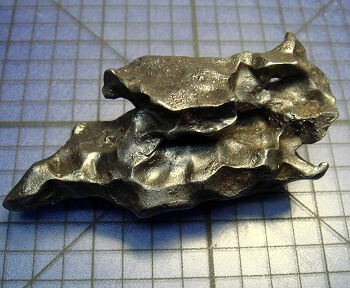 Two spectacular specimens of a very rare iron meteorite classification. 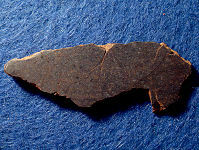 Nelson County, Kentucky, found in 1856. 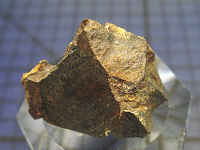 Two specimens offered of this very rare iron meteorite classification, IIIF. 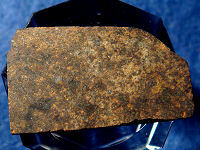 One of only 9 IIIF iron meteorites known. 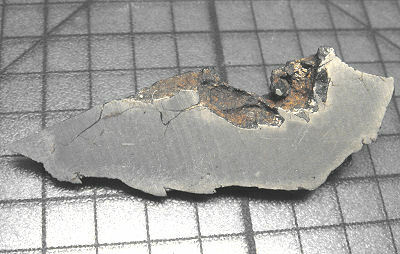 Displays a Widmanstatten Pattern distorted from a violent pre-atmospheric collision. 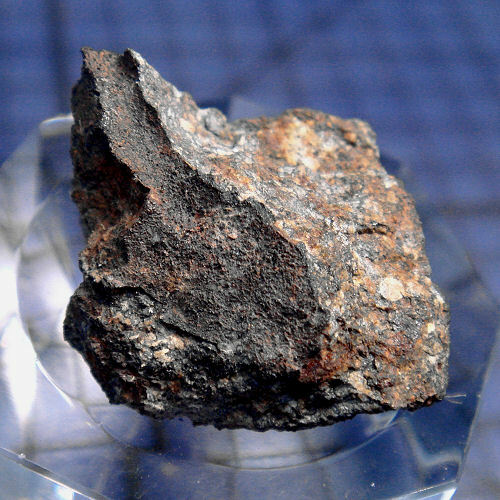 In 1951 a single stony-iron meteorite weighing about 755 kg was found in Chubut, Argentina. 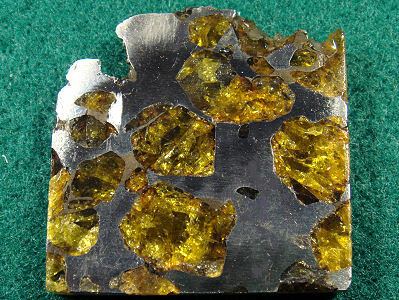 Esquel is classified as a main group pallasite. 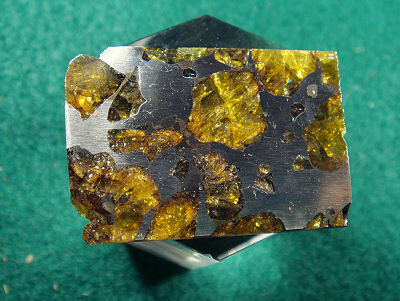 Large, angular olivine crystals, offered are two 5mm thick slices. 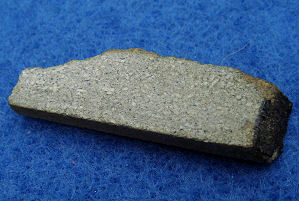 Claxton, Georgia, L6 chondrite, 2.34 grams The fall of a meteorite is an unusual event - especially a witnessed fall that hits a mailbox. 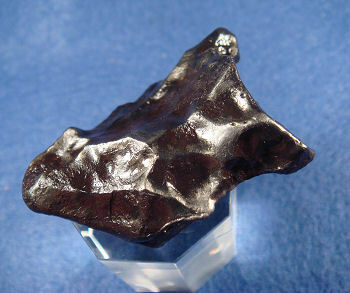 As a matter of fact, the Claxton meteorite is the only recorded "mailbox strike". 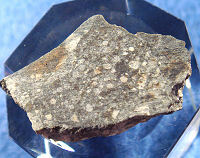 Claxton, L6 chondrite. 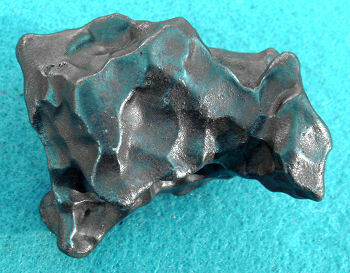 This is a Centerpiece meteorite for any collection. 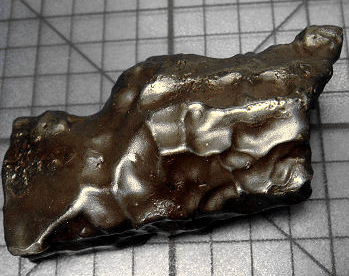 Serious collectors need no introduction to this meteorite. For everyone else it's enjoyable to read about. 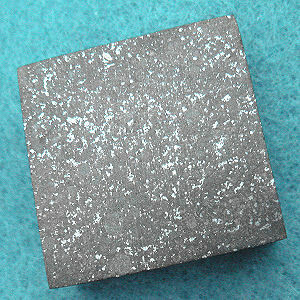 As reported in Meteoritics, Vol. 20, 1985: "At approximately 22:30 U.T. on Monday, December 10, 1984, the skies were partly cloudy over southeast Georgia, U.S.A. and it was preparing to rain. In the late twilight sky, Vietnam veteran, Don Richardson had just stepped out of his mobile home. A whistling noise, reminding him of an incoming mortar round, made him flinch instinctively. 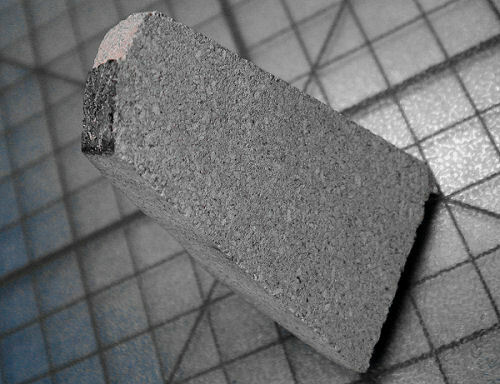 Thirty-six meters from where he was standing an object impacted with a loud bang. 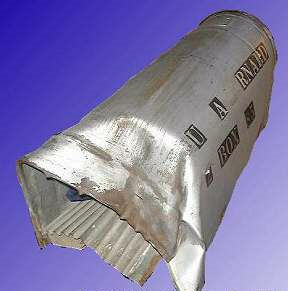 It struck a mailbox, knocking it to the ground." 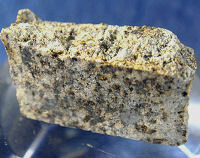 A single 1,455 gram, fusion crusted, stone mass was recovered from this Fall. 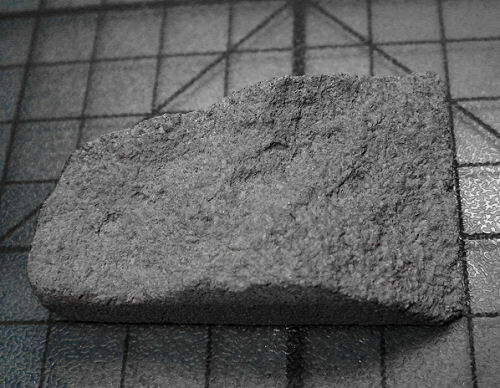 Bison, LL6, 204 grams, full slice. 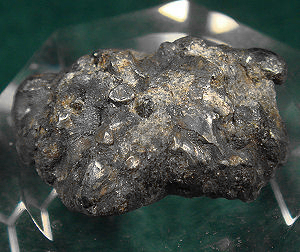 Bison, Kansas, found in 1958, is a rare LL6 impact-melt brecciated meteorite consisting of unmolten clasts and accessory-melt brecciated clasts in a darkend matrix. 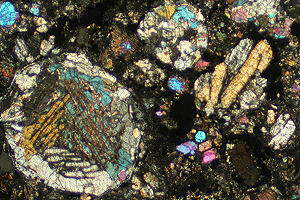 Multiple 5mm to 10mm unmolten clasts and micro-fragmental breccia. 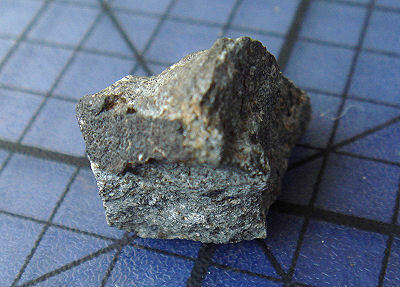 Holbrook, Arizona, L6 chondrite. 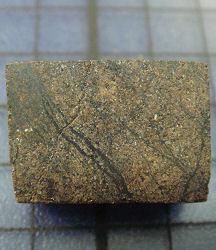 Garraf, Spain, L6 chondrite Covert, Kansas, H5 chondrite. 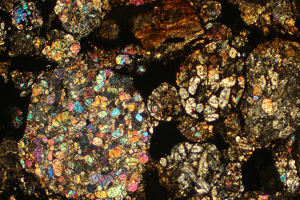 West Forrest, Australia, H5 chondrite. 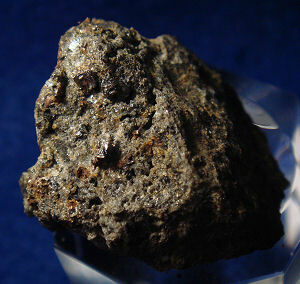 Indarch, Azerbaijan, EH4 chondrite. 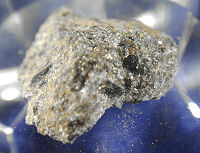 Cereseto, Italy, H5 chondrite. 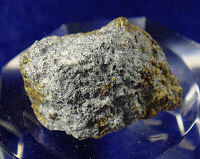 Happy Canyon is a brecciated, impact-melt, enstatite chondrite, low iron subgroup, containing relic, un-melted material of a higher shock stage than S2. 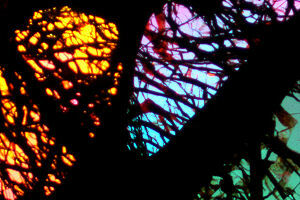 Only about half of the original found specimen survives in mostly university collections. 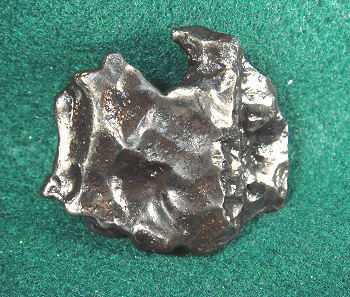 This specimen was a part of the Huss Collection of Meteorites. Estherville is a historic Fall, May 10, 1879, that occured in Emmet County, Iowa. 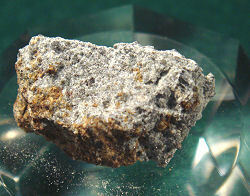 Offered is an unusual, complete, uncut specimen with large clusters of Ni/Fe and olivine embedded in a pyroxene and plagioclase groundmass. 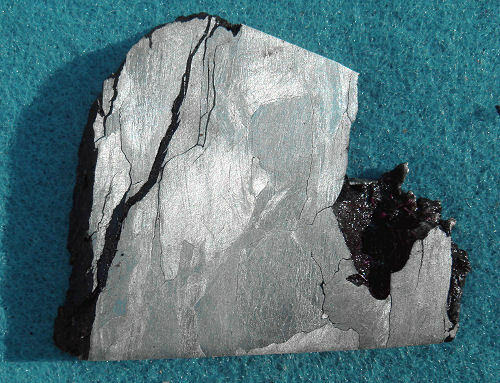 This is an attractive representative sample of a mesosiderite. 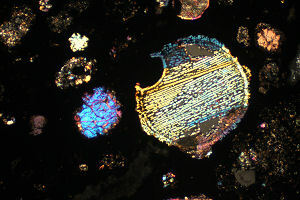 Meteorite thin-sections are carefully prepared glass slides suitable for mineralogical and petrology studies when viewed through a microscope. 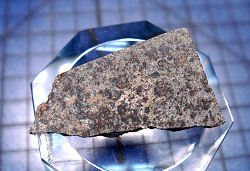 They are thin slices of meteorites that have been carefully ground down and polished so thinly that light can pass through the meteorite's mineral structures. 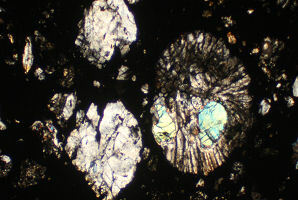 In transmitted light, thin sections reveal the texture and crystal shape of minerals and other identifying meteoritical characteristics while through polarized light, the mineralogy is awash in color allowing for more complete mineral identification. 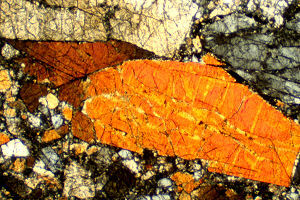 All slides are 2" x 1" with large surface areas for study. 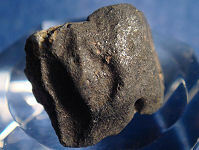 Weston is the first well-documented meteorite fall in the 1800's with enough specimens recovered to allow for serious study in academic centers. 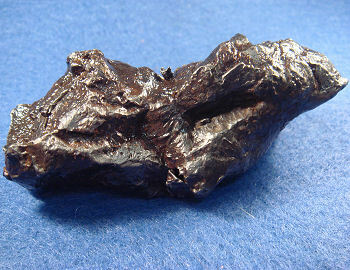 The Weston meteor was observed for approximately ten seconds at 06:00 Eastern Standard Time (11:00 UTC) on 1807 December 14 over New York state and New England. 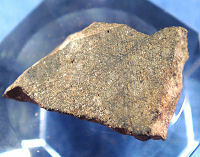 The meteor became visible at an altitude of approximately 84 km. 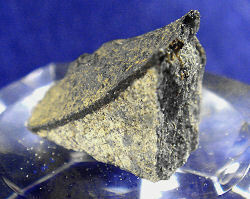 Its terminal point was at an altitude of approximately 16 km. 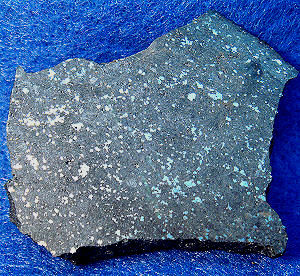 Significant fragmentation of the meteoroid occurred in the vicinity of New Milford, Connecticut at an altitude of 30 km. 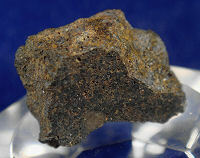 This meteorite is from the planet Mars. 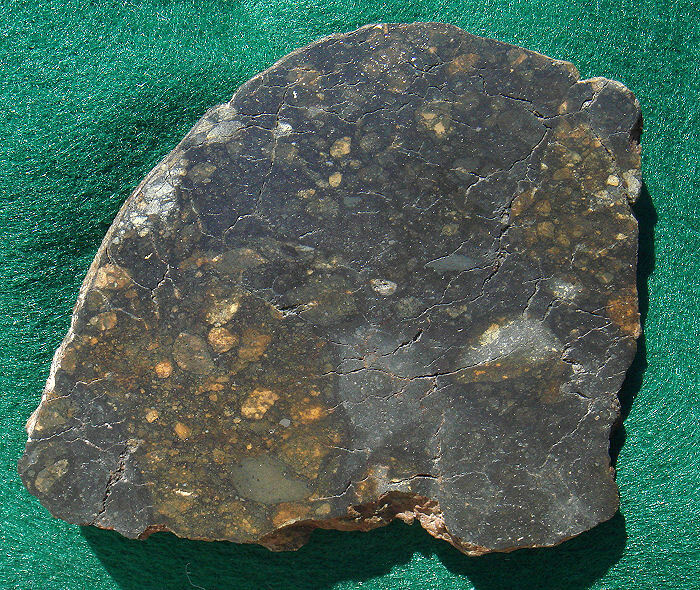 It's classified as a shergottite (similar in composition to the meteorite Shergotty (SNC) excepting that the augite crystals are smaller). 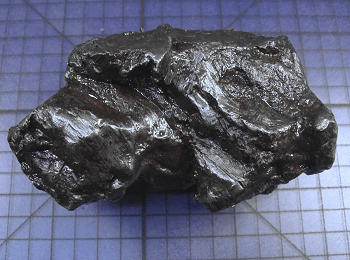 Zagami fell in Nigeria on October 03, 1962, it is classified as a Martian basalt. 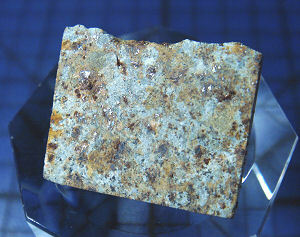 Offered are 3 lab prepared specimens, clean, no oxidation, polished surface, augite crystal structures visible in both. 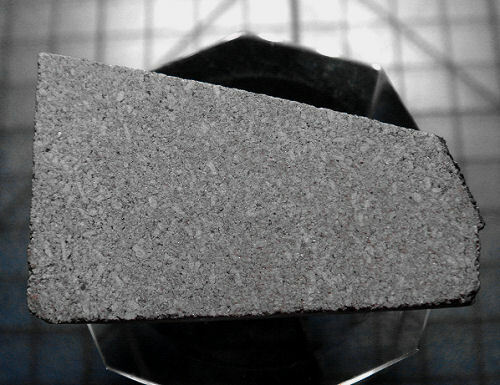 The specimens are clean and suitable for any level of display, teaching or research. 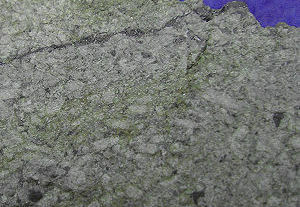 Top image is the whole specimen offered. 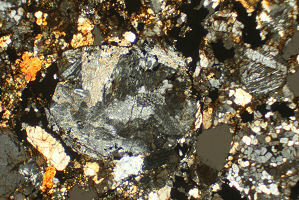 The bottom image shows augite crystals and fusion crusted edge. 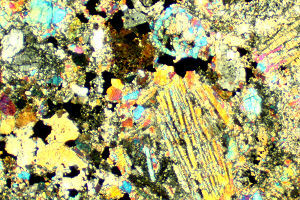 Top image is the whole specimen offered. 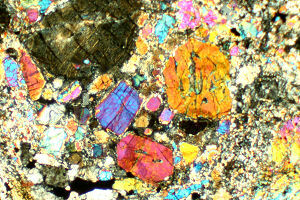 The bottom image shows augite crystals and a maskelynite vein. 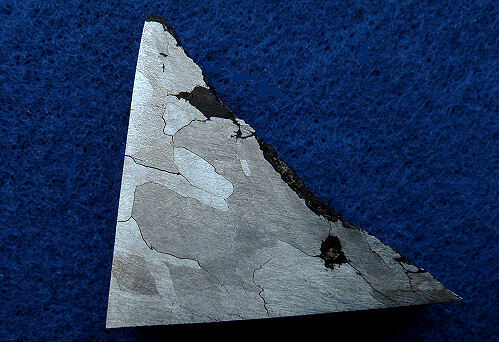 Zagami, specimen #3, front surface, 8.45 grams, fusion crusted edge. 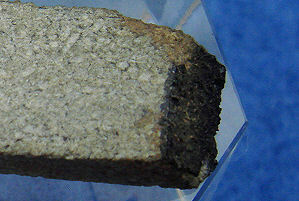 Zagami, specimen #3, front surface detail, 8.45 grams, fusion crusted edge, upper right. 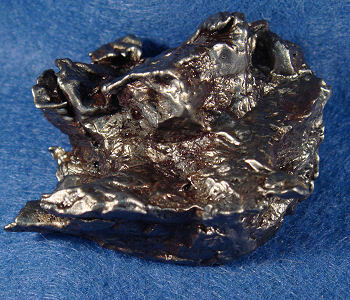 Zagami, specimen #3, reverse surface texture, 8.45 grams. 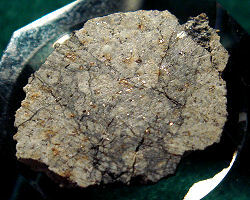 Classified as a IIAB iron meteorite, there are two types - large, fragmented forms, and regmaglypted specimens. Spectacular for display. Offered are both types. 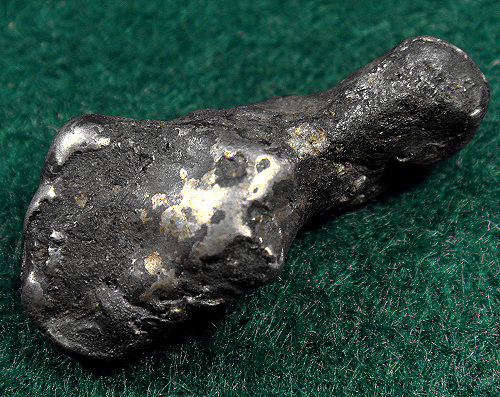 This has a nice torn and twisted shape from its violent passage through our atmosphere..
One of the most visually interesting meteorites for display. 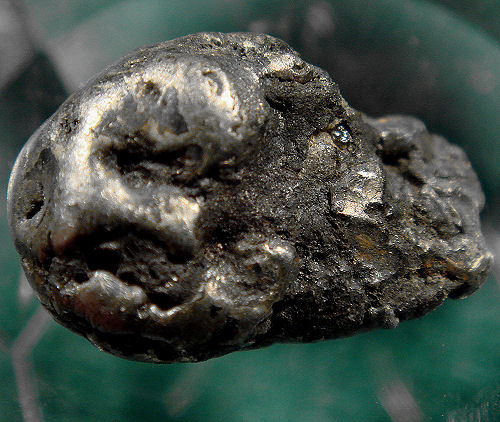 Estherville iron nodule, fusion crusted, 11 grams. 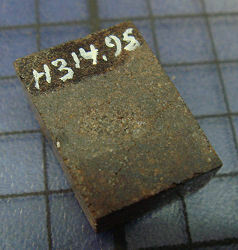 Collection specimen, not for sale.. 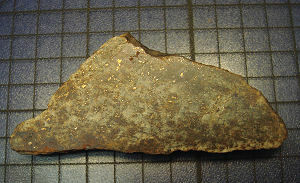 The Estherville meteorite shower of May 10, 1879 rained over 350kg of a rare classification of meteorite called a mesosiderite over Emmet County Iowa. 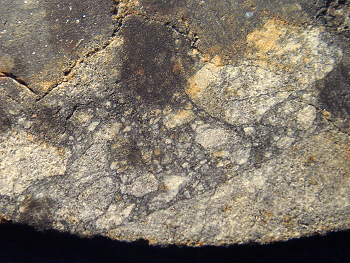 Mesosiderites are an odd type of differentiated meteorite, meaning that somehow the Fe/Ni mix from the asteroidal core melted and combined with molten silicates (basalt) near the surface. 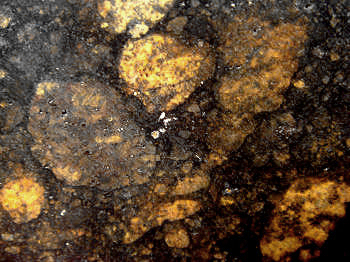 Not only did the shower produce many larger specimens, it produced many smaller "iron nodules" consisting of an admixture of both the Ni/Fe and basalt. He examined over 700 specimens, studiying the aerodynamic abalation from orientation. 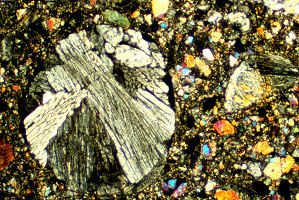 Offered are three samples of these nodules, all oriented, all with exposed Ni/Fe and the stony basaltic matrix, all with fragmented sections of both primary and secondary fusion crust. 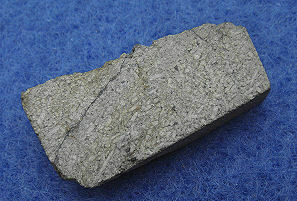 The serious study of meteoritics was beginning at this time and Nininger was at the forefront. 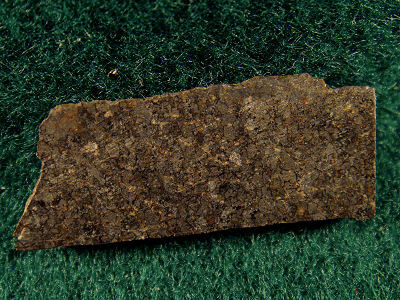 Aside from their unique nature, these are historic meteorite samples from when the "eye" of science began to take notice. For serious study, teaching, and private collections.